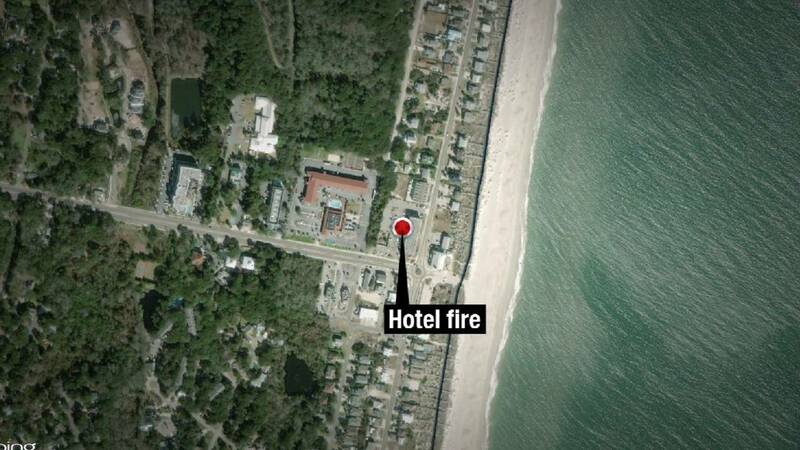 FERNANDINA BEACH, Fla. - The Fernandina Beach and Nassau County Fire Rescue Departments put out a fire quickly at the Amelia Hotel and Suites on Fletcher Avenue Sunday morning. The hotel's alarm system alerted firefighters to the fire. Firefighters made their way to the second floor and found the automatic sprinkler system had been activated. When entering the room, firefighters found heavy black smoke and a small fire on the floor involving the bed. The hotel sustained water damage from the sprinkler activation. Fire officials say the fire is suspicious in nature and is being investigated by the State Fire Marshal's Office along with the city Fire Marshal.